Sela Giles Goddard, Lord Norcourt is odd. Born with his life's cord wrapped around his neck and sent away to Ireland to be raised in an orphanage run by nuns, he's known nothing but the cold sting of being misunderstood and altogether unwanted. But that's all about to change... Lucy Whitaker is a fallen woman who has done her best to build a life for her and her son. But when her son finds a battered gentleman left on the side of the road, her entire world is about to come crashing down as she once again finds herself caught between two brothers: an heir and a spare. 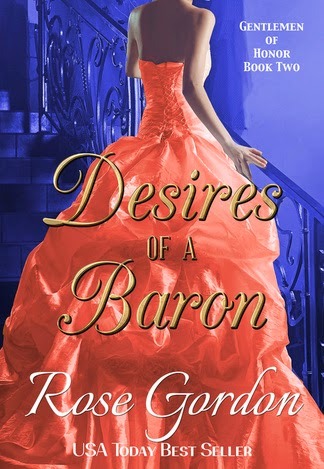 Will Lucy's dislike for nobility forever keep her from eternal happiness or can Giles convince her to follow her heart and take a chance on loving a baron? “Then why are you here?” he asked, folding his arms across his chest. “You paint?” Seth exclaimed, darting around Giles and going into his painting room. Giles clenched his jaw. He’d never allowed anyone into that room. Not even his mother when she’d insisted on seeing it. He’d just said he’d have it cleared out for her. He stomped into the room, bent on scolding the boy and froze. “You should try.” Giles closed his mouth with an audible snap. What the devil was he doing encouraging the boy? “At home,” he added. “My mama sure won’t,” Seth said with a laugh that softened Giles’ resolve. “Now, will you teach me? “But you don’t know how,” Giles pointed out. 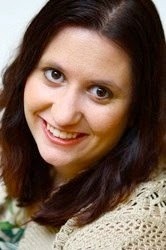 Rose Gordon is the USA Today Bestselling and Award Winning Author of more than a dozen unusually unusual historical romances that have been known to include scarred heroes, feisty heroines, marriage-producing scandals, far too much scheming, naughty literature and always a sweet happily-ever-after. Or if f you're already a fan why not join her Street Team?